Sweater season is in full swing and it’s bigger than ever. 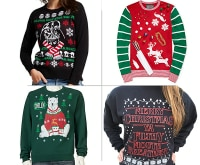 With ugly sweater contests at work and at kids’ and virtual parties, it’s likely that you’ll be wearing one of these faux pas fashion statements soon. 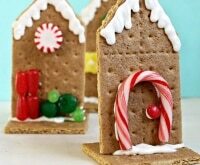 But you’ll re-consider buying one and opt for crafting one yourself once you see our ideas for 10 festive, creative and cheesy DIY ugly Christmas sweaters for the holidays. 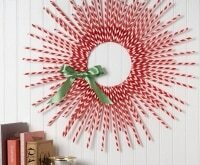 Swing by your local Dollar General and buy a strand of sparkly garland and a pack of mini ornaments. 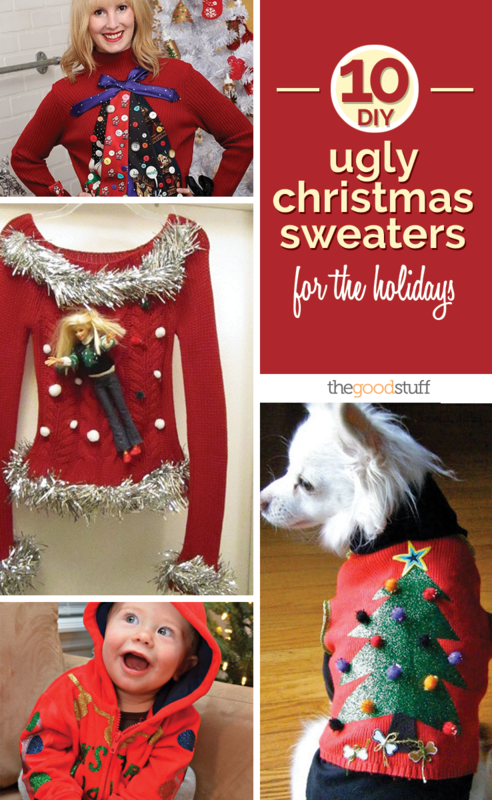 Lay the garland back and forth across the front of the sweater and attach the mini ornaments to it. 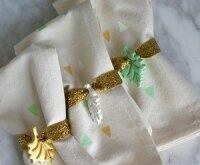 Line the cuffs with the garland for extra flair. 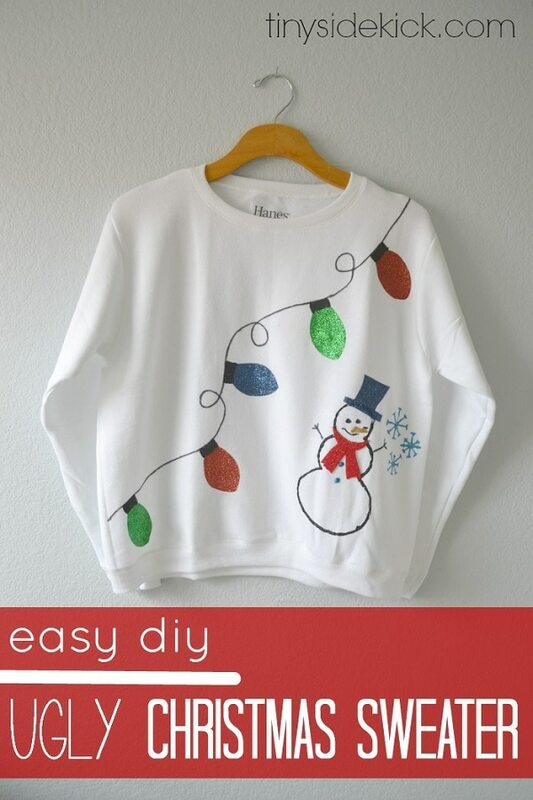 Kids can help create this sweater with sharpies and puffy paint. 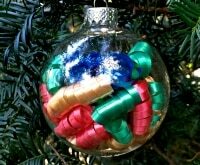 You can use glitter iron-on transfer sheets to help make the ornaments pop. 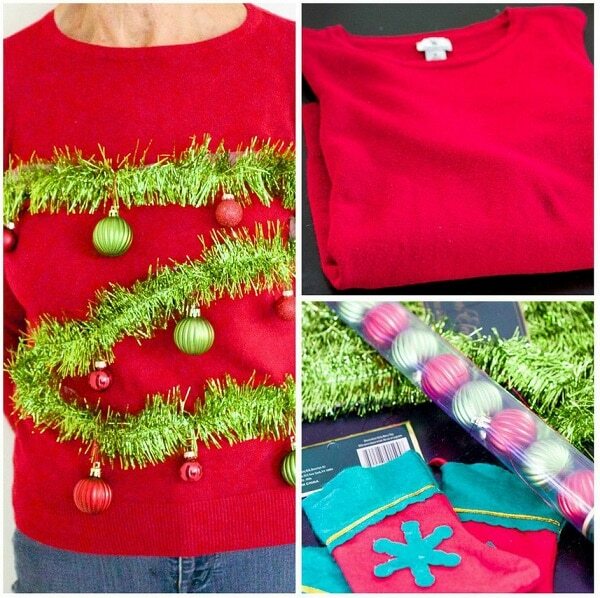 Raid the toy drawer for inspiration for this DIY ugly Christmas sweater. 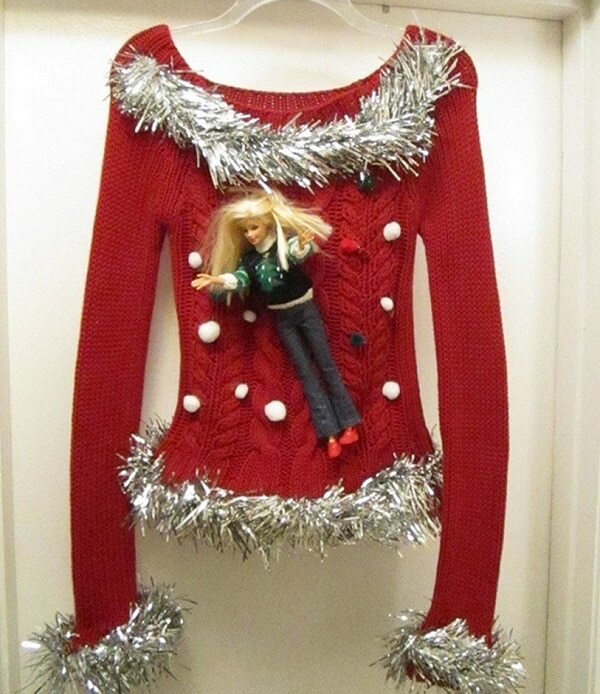 Trim the sweater with tinsel garland, glue on a few pom poms and add a Barbie doll. 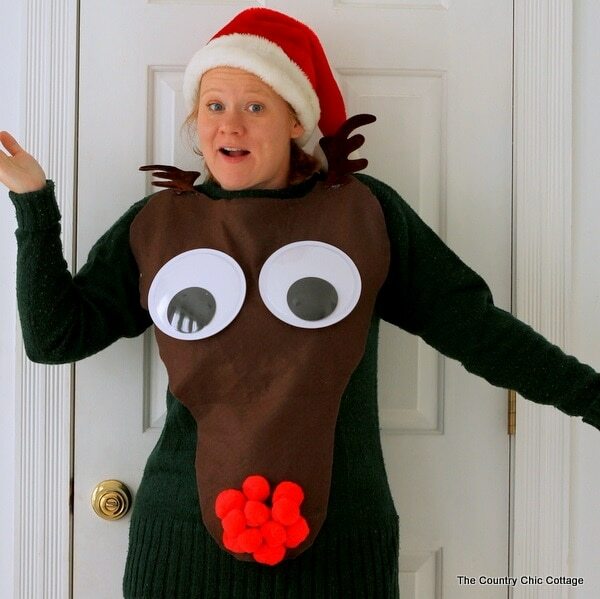 Rock the ugly Christmas sweater competition with a Rudolph sweater. 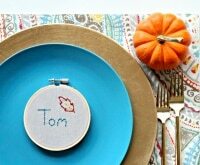 Felt, reindeer antlers, pompoms and a set of large eyes are all you need to turn your plain sweater into a reindeer ugly sweater. 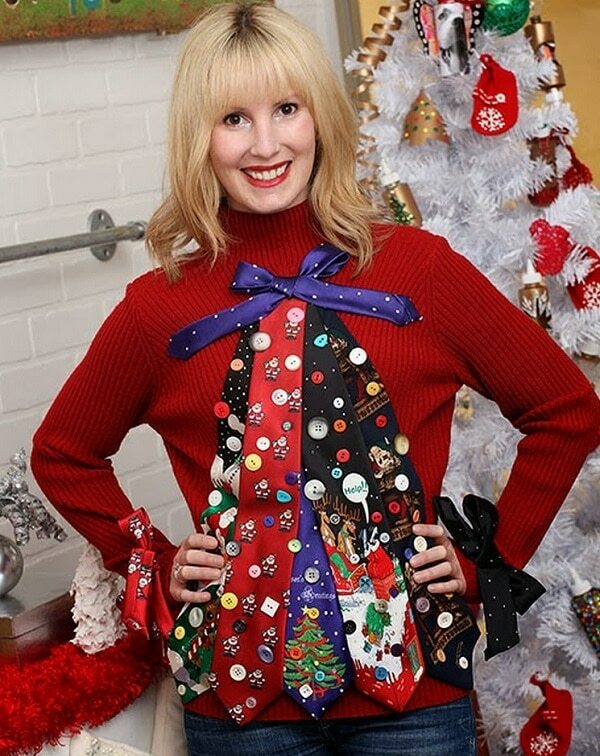 Buy a few novelty ties at the local discount store and create a one of kind ugly sweater. 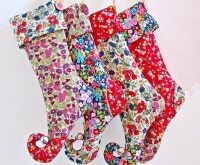 Embellish with ribbon and bling. 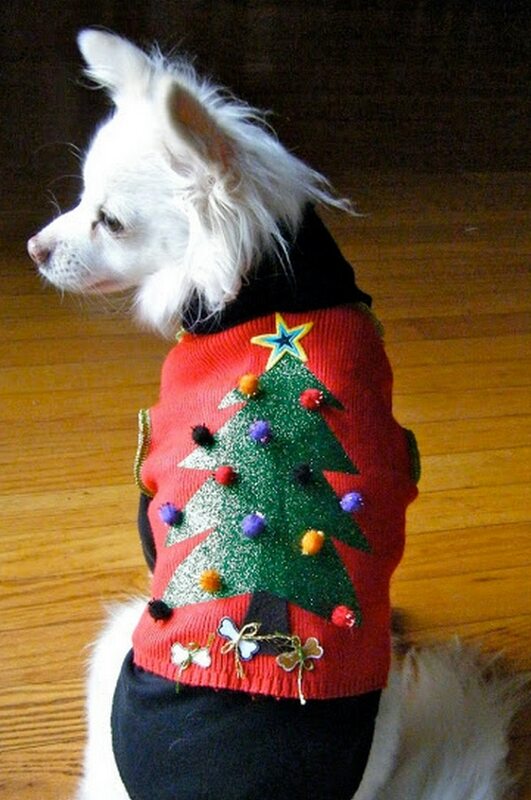 Dog’s want in on the ugly sweater fun too! Cut out shapes from felt and use fabric glue to adhere them to a dog vest or sweater. 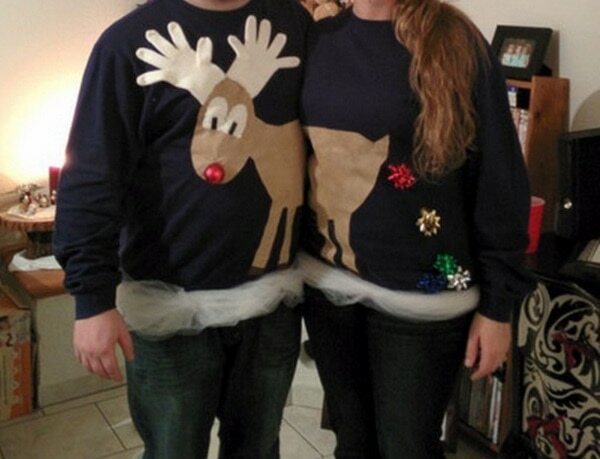 Pair up and stand out in the contest with a Reindeer Couple Ugly Sweater set. 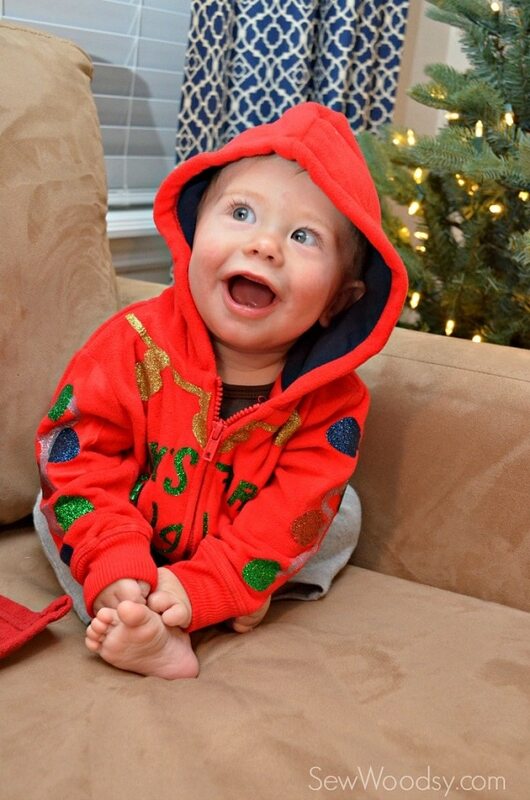 Your babies will set trends in the nursery with their own custom ugly Christmas sweater. 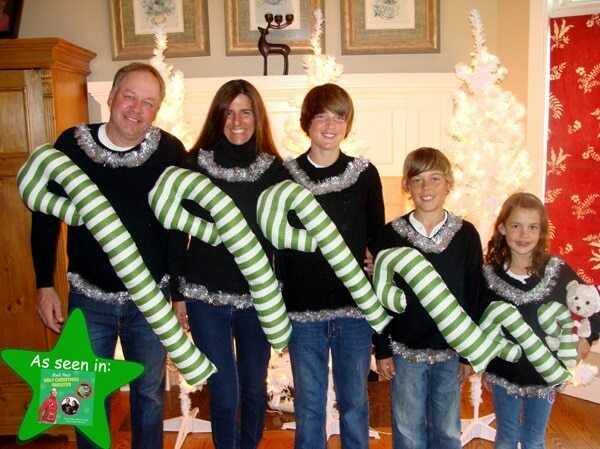 Make it a family affair and create a set of matching ugly sweaters adorned with a colossal candy cane. Even the family’s beloved teddy bear is dressed for the occasion. Bring a friend to the party with this ugly sweater stuffed animal addition. 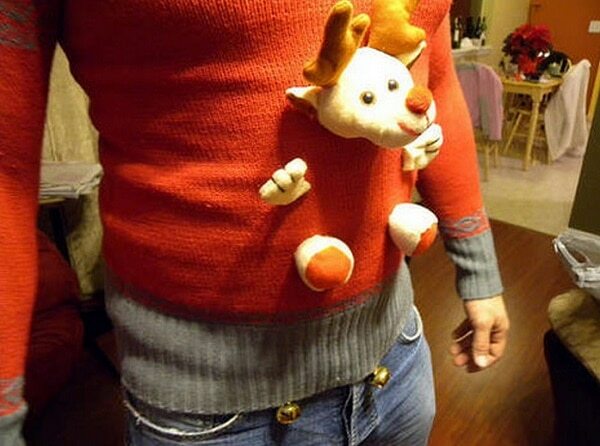 Cut apart a stuffed animal and glue it to the front of a sweater and you’re all done.